Good web design isn’t just about having a site that looks good. 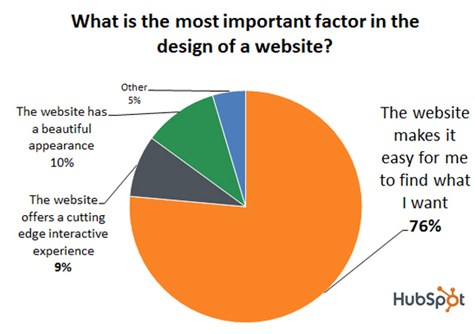 An effective website must also work hard for your business too. It’s a sad fact that many small business websites do not work. But most web designers (even some of those that charge lots of money) simply don’t understand what your customers really want from your website. They don’t know how to get more visitors, and how to get those visitors to take the actions you need them to, in order to fulfil your goals. Get those visitors to take action and become your customers. For your website to be successful you’ve got to give your visitors what they want. Understanding your visitors goals and motivations is essential to making sure your website is truly effective. Your website has to do a great job selling your business and distinguish you from your competition. I’ll take the time to get to know you, your business and your target audience. I will talk to you to understand both your goals and the goals of your business. With this understanding we can produce a website that works hard to achieve these goals. Good web design is not just about having a good looking site. It’s not about creating a work of art. It’s about creating a fully functioning machine that works on behalf of your business. A well designed website will attract visitors, raise your company profile and give you the competitive edge you need to grow your business. Too many businesses don’t appreciate the power and impact of having a well designed and well functioning website. A poorly designed website means you could be missing out on lots of opportunities every single day! I’ll guide you through the process and make sure you get the most effective website for your business. explain the business reasons behind both the design and technical decisions. Get in touch and tell me what you need from your website and the challenges you face. If I can help, we’ll arrange a FREE consultation. If a website isn’t going to help your business or a redesign is unlikely to be cost effective, I will tell you. I won’t string you along. Tell me what you need from a website and how I can help your business. If you already have a website but feel that it may be under performing, it may not need a total overhaul or expensive redesign. A great place to start would be my search engine optimisation and conversion rate optimisation serivces. If you're interested in a website that works for your business then all you need to do is contact me for a free consultation.